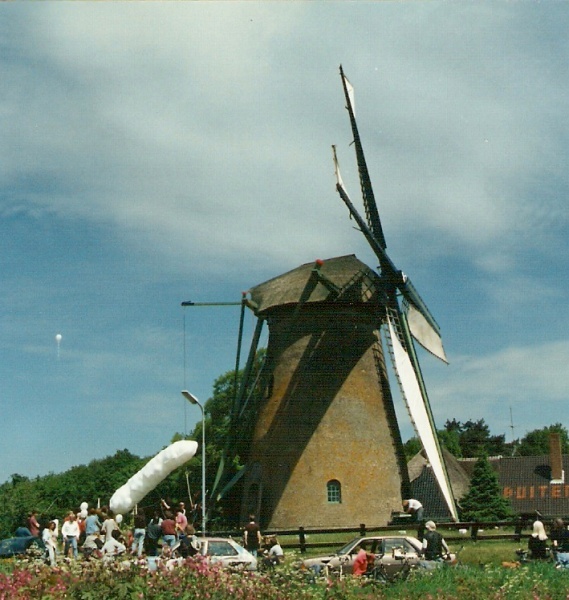 Installatie van een drie meter lange walvisstaart geplaatst in lokaal meertje. 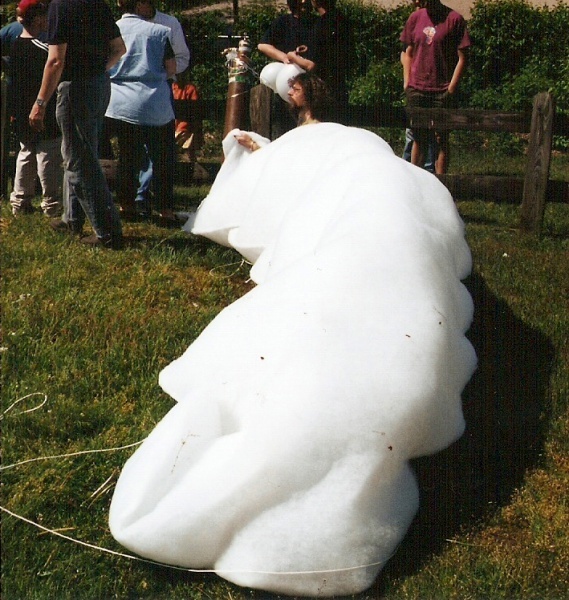 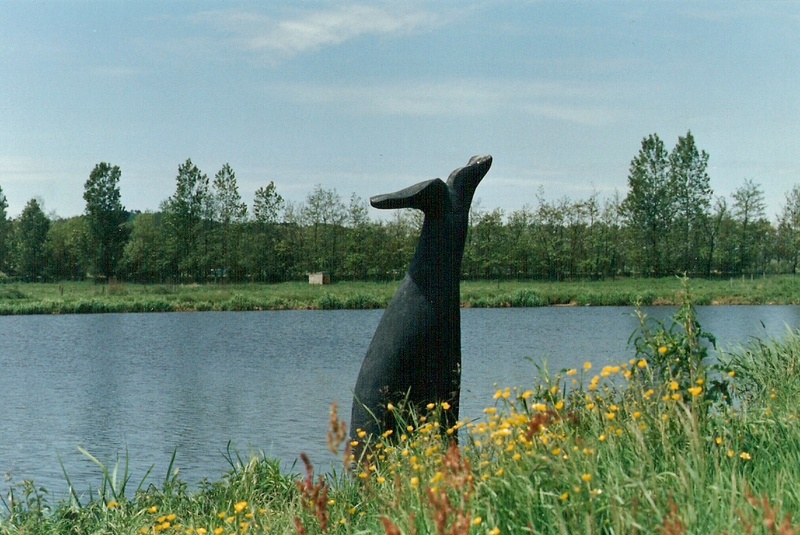 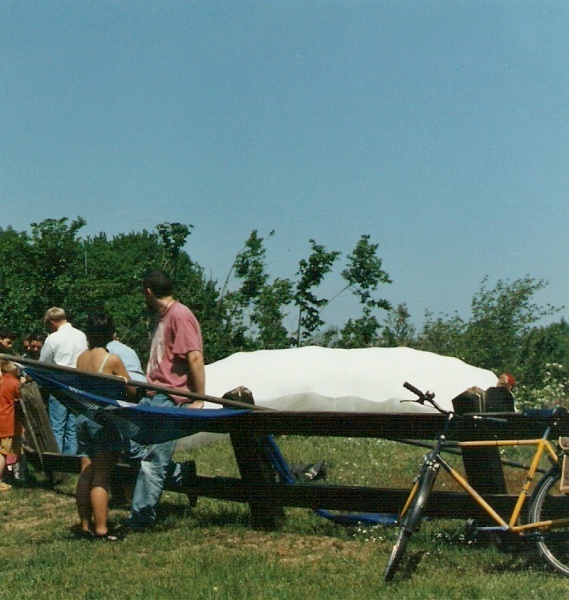 Installation of a three meters high whale-tail placed in a local pond. 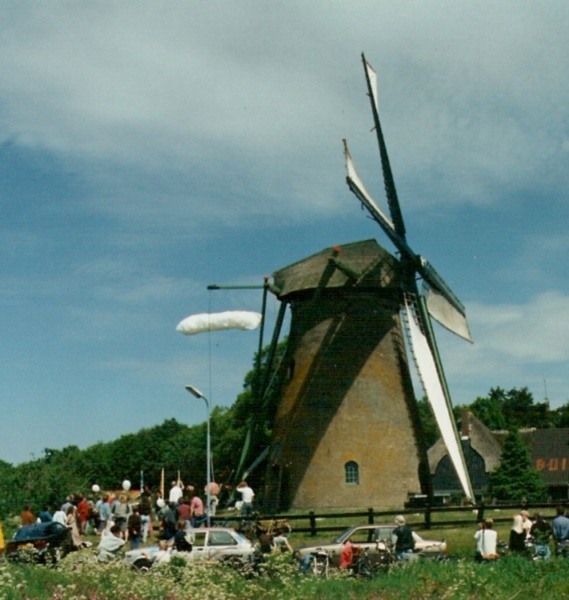 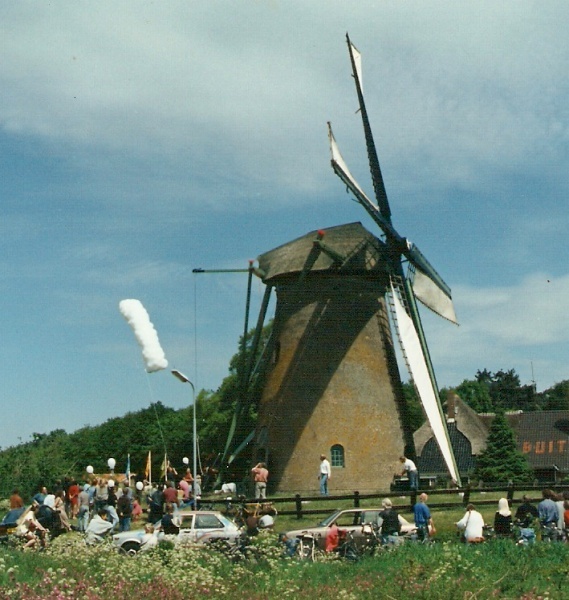 Performance in which a windmill is used as a winch, and pulls down a cloud. 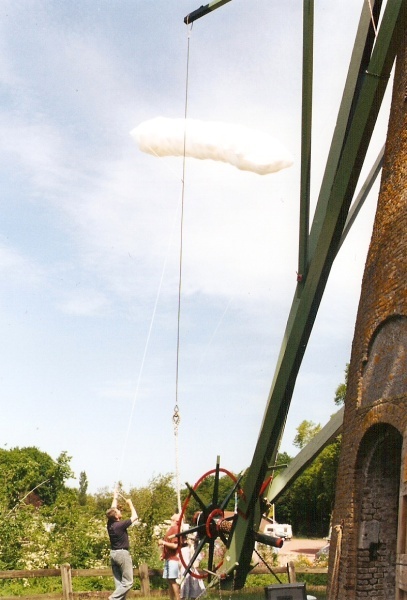 Sound P� Okx.